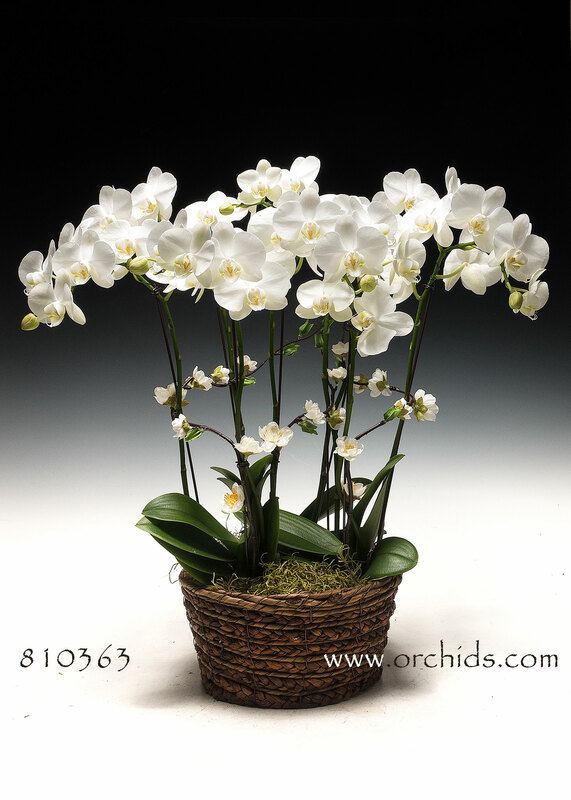 Our designers will personally hand-select three of our most floriferous multi-floral miniature white Phalaenopsis orchids and arrange them for their ultimate presentation in our round woven cachepot. Stunningly accented with soft faux spring vines, the effect is that of a bountiful miniature garden tended with the greatest love and care. This Perfect Garden, standing approximately 20"-22” in height, will be softly finished with a generous bed of imported jade Spanish moss.